Hand-made lace appeared in Bohemia in a first-half of 17th century according to an archived source. 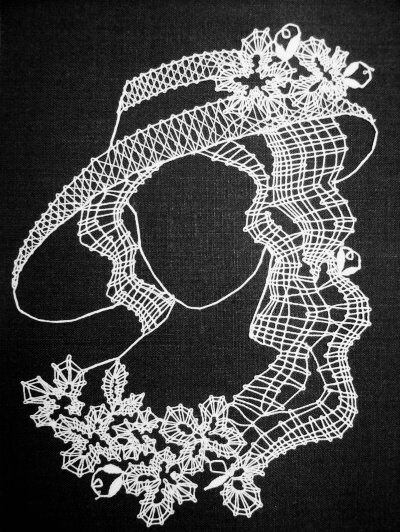 The name of a lady from Belgium, Magdalena Gramb, was first heard in connection with the new Belgian lace patterns. After she became a widow, (her husband was Kaspar Gramb, the Regent of Potstejn Castle), she settled in the small town of Vamberk under the Eagle Mouintains. She then started to distribute bobbin lace work. Since its infancy lace had been used as dress decorations and in building interiors of aristocratic residencies, and later its use has spread to the common people. Lace is made by the crossing and bundling of lose threads wrapped on wooden sticks. The threads follow a pre designed pattern, which is fixed on a pillow called 'herdule'. The threads material is mostly cotton or silk. Gold and silver threads are also used in some cases. The tradition of lace-making is being preserved by local women for future generations by passing the craft to their offsprings. Now it's Your time - You have the opportunity to decorate Your home or gift your loved ones.